Skintop strain relief cable glands make cable termination fast and easy. Secure connections are critical to reliable performance. Skintop meets the most stringent demands of safety and operational reliability. Skintop products can be used in panels, switches, control boxes, submersible pumps, appliances, and many other machine tool applications. Skintop strain relief cable glands provide both strain relief and a liquid-tight seal — all in one connector. Indoors or outdoors, in hot or cold conditions – there are many possible applications for Skintop Strain Relief Cable Glands. 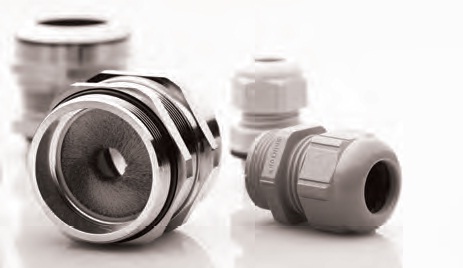 First patented 35 years ago, our quality cable glands are in demand in many applications.